Registered Dental Hygienist, Carla Strickland begins each patient’s oral examination and teeth cleaning at their semiannual appointments. Carla checks every patient for signs of oral disease during their examination and takes digital dental X-rays that help the dentist check for cavities and other problems. After the dental exam, Carla thoroughly cleans the teeth by scraping dental build up and polishing the teeth. To help each patient, Carla goes through the steps of good home dental care, including how to brush and floss during the patient’s exam. I became a dental hygienist because I wanted a rewarding career that allowed me to help others. My dental hygiene career has been amazing and a great pleasure. I graduated from Texas Woman's University in 2005 with a Bachelor of Science degree. 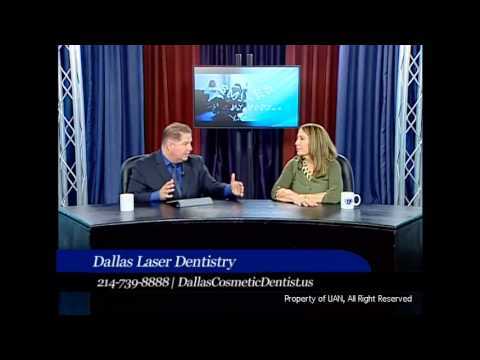 My time with Dallas Laser Dentistry has been exceptional. The team is caring and supportive. I am happy to work with a truly amazing group. During my personal time, I enjoy playing tennis and spending quality time with my family. I've been blessed with an amazing husband and an adorable little girl. I can't ask for anything more.